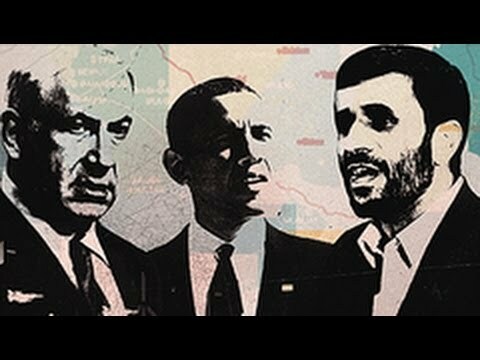 Why are Israel and US on a Collision Course with Iran? The war of rhetoricsâ€”words so far, at leastâ€”of the United States, Israel, and Iran heats up. In The Washington Post today: a report that Iran is supposedly planning terrorist attacks against the United States if the United States is seen to be attacking Iran. It seems to me the conclusion’s rather obvious about that. If you don’t want such terrorist attacks, don’t attack Iran. But what do I know? Now joining us to talk about all of this is Robert Naiman. Robert is the policy director at Just Foreign Policy. Thanks for joining us, Robert. ROBERT NAIMAN, POLICY DIRECTOR, JUST FOREIGN POLICY: Good to be with you. JAY: So where are we at with this, the sort of building up of drumbeats for war with Iran? It’s very contradictory messages coming. One day we’re told that Iran is planning an assassination of a Saudi ambassador on U.S. soil, and there’s a bunch of fuss about that for a few days. Even the mainstream media was poking holes in that, turning it into kind of Swiss cheese. Then, you know, a few weeks later, Leon Panetta’s on television saying that Iran has not decided to make, create a nuclear bomb. And very contradictory messages. The U.S. cancels war games with Israel. Where do you think we’re at here? NAIMAN: Well, I think it’s important to step back and look at sort of the long-term structural issues. The U.S. and Iran are on a path towards collision and have been for some time. [incompr.] because of the dispute over Iran’s nuclear program. If you go back to the Bush administration, the position of the Bush administration was that we cannot allow Iran to have the capacity to produce a nuclear weapon, not we can’t allow Iran to produce a nuclear weapon; we can’t allow Iran to have the capacity to produce a nuclear weapon. Well, observers looking at Iran’s behavior and their statements have long inferred that Iran has a strongly held goal of full control of the enrichment cycle, the nuclear fuel enrichment cycle, and partly ’cause they want to have a civilian nuclear program, in part because they need fuel for their medical research reactor, in part because it’s a point of national pride, and in part because they see control of the nuclear fuel cycle as a deterrent against a U.S. and Israeli attack. They won’t say that last part publicly. They say that their program is, you know, only for peaceful purposes [incompr.] it’s only for energy or research. But many third parties believe, including me, that it’s not just about energy, it’s not just about medical research; it’s also about a deterrent against U.S. or Israeli attack. JAY: Joe Biden said it pretty well during the primaries. He hasn’t said it since, but in the primaries for the U.S. nomination in ’08, Biden said, if you don’t want them to have a nuclear weapon, stop threatening regime change. Soâ€”. NAIMAN: Yes, and I think that’s exactly right, that the smart U.S. policy has always understood that if you’re not going to invade Iran, overthrow the government, and occupy the country, install a quisling regime, then any plan to convince Iran not to pursue a nuclear weapon in the future has to take into account Iranian security concerns. And if you make them more scared by threatening invasion and regime change, you’re likely to have an effect counterproductive to that goal by convincing them that they need to do more to protect themselves against a U.S. or Israeli attack. So I think that logic is exactly right and Biden had it right. JAY: Yeah. Well, it’s no surprise that the media doesn’t get it right, seeing as President Obama himself keeps blurring the line. For example, in his State of the Union speech he’s still talking about we’re going to stop Iran from having a nuclear weapon, and he doesn’t make any distinction about what his own intelligence agencies have been saying. NAIMAN: Well, heâ€”yes. I mean, that’s the State of the Union, right? It’s a political speech. You know, rah rah rah. But he didn’t claim that Iran is now trying to develop a nuclear weapon, so he didn’t contradict what Panetta said. So, again, this distinction is crucial. It’s crucial that the U.S. media understand it or explain it properly. It’s crucial that Americans understand it, because according to the U.S. government, an actual decision by Iran to actually try to obtain a nuclear weapon wouldâ€”is a red line, would be a cause of war. And obviously, you know, war between U.S. and Iran would be catastrophic for both countries and for many others in the region, and it’s something that we should all be working to prevent, and not only in the short run. But in the long run, we want to put U.S.-Iran relations on a different path so we’re not constantly, you know, at or near the brink of war, so that there’s a different kind of process for resolving disputes. And that’s what President Obama promised in 2008 when he was Senator Obama. He promised that he would engage in serious diplomacy with Iran to resolve the disputes diplomatically and politically. And I think there’s still room, more room than many people imagine or say, for a real diplomatic engagement between U.S. and Iran. Reportedly, U.S. is preparing a new proposal, a variation on the fuel swap theme, where Iran would halt its enrichment to 20 percent. In exchange, the West would give Iran nuclear fuel for its medical research reactor that’s used to treat Iranian cancer patients. That’s a plausible deal. That could be achieved, I think, you know, if there is a climate conducive to real negotiations. JAY: When you talk to a lot of geopolitical analysts or military analysts, what we hear over and over again is that this isn’t really about the bomb. It’s far more about Hezbollah, Hamas. It’s about Iran’s influence in Iraq. It’s about Iran as a regional, you know, mini superpower or power, if you will, and Israel simply doesn’t want to live with that. Now, again, going back to the primaries, Obama said, if you didn’t want Iran to be a regional power, then we shouldn’t have invaded Iraq. I mean, there’s a fact on the ground: Iran is a regional power. But do you not think this is what it’s more about than it is about all this discussion about where they’re at in the uranium process? NAIMAN: Well, yes and no. Yes, absolutely I think the real dispute is betweenâ€”it has to do with Iran’s influence in the region. And, I mean, in fact, this is sometimes stated, at least in the Israeli pressâ€”there was an article recently even [incompr.] article, actually, but you see this in Haaretz, where an Israeli general is saying, you know, if Iran became a nuclear power, this could limit Israel’s freedom of action to invade Gaza or invade Lebanon. I myself think that, you know, even this argument, there’s a certain logic to it [incompr.] I’m sure the Israeli generals believe this. Even that argument is overstated, because I think the main deterrent, increasing deterrent, towardsâ€”that gets in the way of Israeli military action in Lebanon and Gaza is actually world public opinion, and even increasingly Israeli public opinion, against this kind of military adventurism, which actually hasn’t brought benefit, certainly not the claimed benefits, to people in Israel. But being that as it may, you know, that is the real logic that appears to underlie the concerns of some people in Israeli military circles and, clearly, people in Washington that are linked to those circles, the, you know, neocon think tanks that have a similar worldview to that expressed by the Israeli general. So, yes, it is about that. JAY: How do you think this is impacting and will impact the presidential elections here? NAIMAN: Well, I think it’s a reasonable guess that we’re going to see more of the Republican candidates, and Romney if he is the nominee, making these kinds of attacks on the president, saying, you know, if you want Iran to have a nuclear bomb, reelect Obama; if you want to stop that, then you elect me. It’s cheap, it’s easy rhetoric. You know, in fact, the policies of the Obama administration are very, very similar to those pursued by the Bush administration, arguably pursued more effectively if you agree with the overall thrust in terms of getting international sanctions. And Romney or every other president’s going to face the same constraints that people close to the military have talked about. Military action’s not going to end Iran’s nuclear program, at best could set it back for a period of time, likely over the long run to convince them even more that they need a nuclear weapon. Iran can retaliate in the region, including in Afghanistan, thereby undermining the difficult situation there as the U.S. is trying to draw down. So every institutional constraint that President Obama faces, a President Romney is also going to face. But it’sâ€”you know, Romney, the media doesn’t challenge these things, by and large, and so it’s a kind of aâ€”it’s an easy cheap shot, and we’re going to see it in the debate. I think the near-term harm of this is that there is a perception that it’s limiting the political space for the Obama administration to pursue serious diplomacy. We have new sanctions now, just passed by the Congress, trying to cut off Iran’s oil exports. If that were successful, it would be an act of war. And that led to the latest increase in tensions. The only alternative to that is a diplomatic process. And some people believe that [there’s no way that] Obama administration can do that now because of the political climate in the U.S. and the Republican presidential campaign. I don’t think that that’s true in terms of being an absolute bar, but it does make it more difficult. And we already have a track record of the U.S. and Iran almost agreeing on the same proposal twice, the nuclear fuel swap proposal. So I think if they did something like that, they could defend it. But there’s no question that the kind ofâ€”you know, the war fever hysteria fantasyland rhetoric does present an obstacle to effective diplomacy. JAY: And President Obama seems intent on being the guy that got bin Laden. He’s not going to look weak on Iran. Thanks for joining us, Robert.